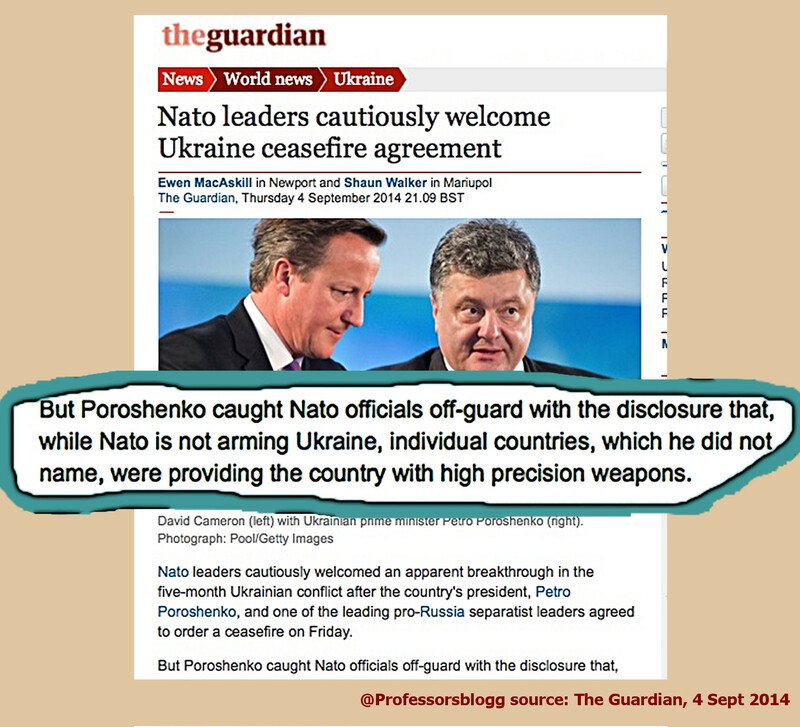 The Guardian published a report on the recent NATO meeting, authored by Ewen MacAskill and Shaun Walker (“Nato leaders cautiously welcome Ukraine ceasefire agreement“, 4 Sept 2014, see fascimile bellow). What caught my eye was a sentence in the middle of the article referring Poroshenko admitting “individual countries” arming Ukraine with high-precision weapons, this, despite”NATO was not arming Ukraine”. Who, those ‘individual countries’ then might be? Later, coinciding with the spread done by @Professorsblogg on Twitter pointing to that specific formulation, the Guardian changed its version, as discussed in section V below. B. The kind of weaponry the “individual country (countries)” are providing Ukraine, according to Poroshenko, is of specific tech kind (“high-precision weapons“) one natural inference would be, “a non-NATO country manufacturing high precision weapons”. 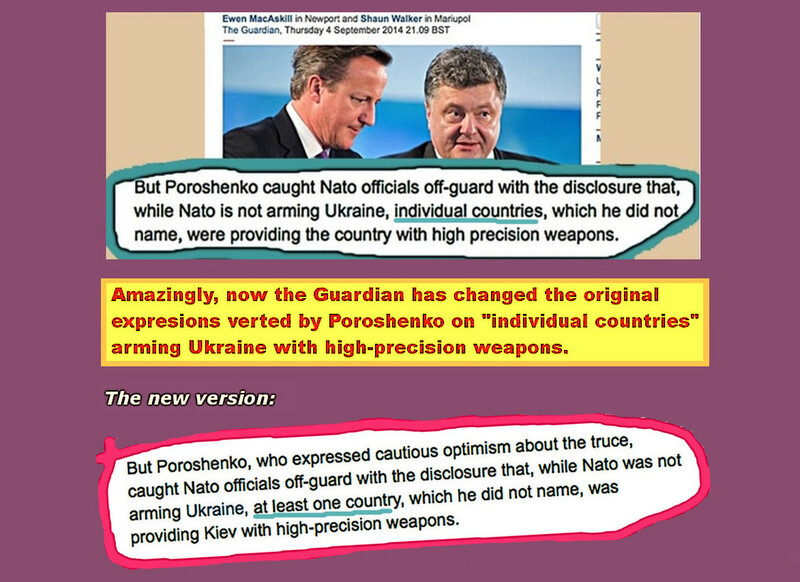 The Guardian has now changed its version on what was said by Poroshenko. Amazing! 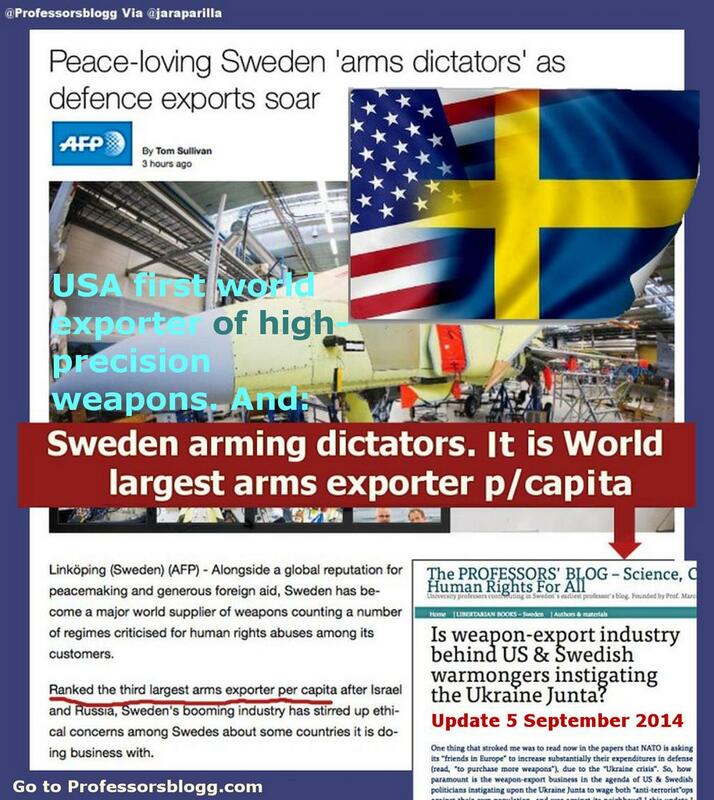 This new version, stressing at least ONE COUNTRY in the context of NATO, would exclude non-members countries as Sweden? 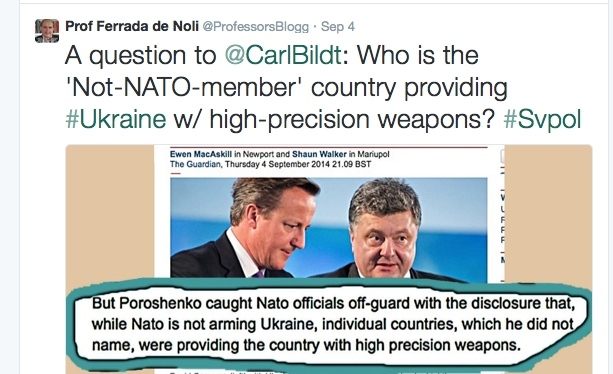 It is hard to find the right answer, since neither the Guardian or Porishenko wish to detail the information. So. obvious question are: which country are they covering? 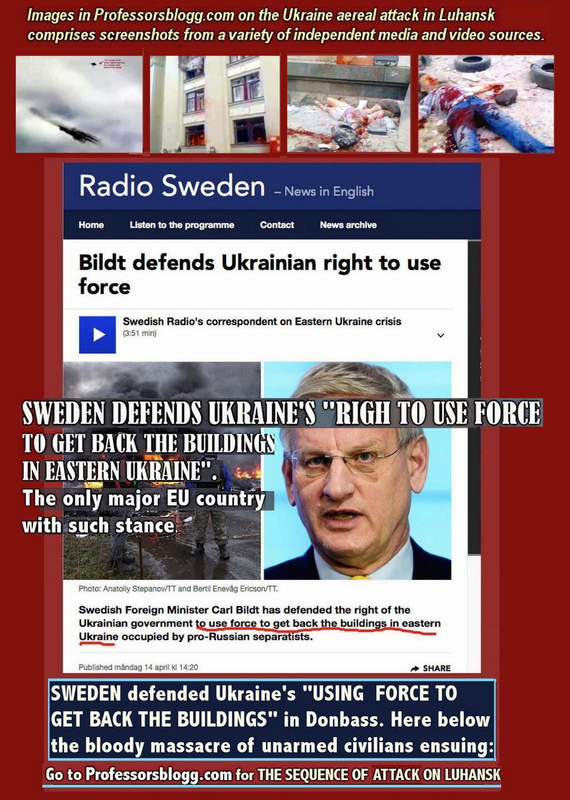 Where Poroshenko, NATO and the Guardian wish – in their propaganda war – lead the attention of the public? Which is the country they really want to save after the indiscretion of Poroshenko?